You will just love making this beanie! This is an intermediate level crochet pattern for a fitted hat with small heart details and a lovely geometric design. The pattern gives you ALL the tools you need in order to make this beautiful hat, including a photo tutorial for the main stitch in the pattern, an instruction guide to color changes, and access to video tutorials. This pattern DOES include a COLOR CHART for the geometric portion of the pattern! 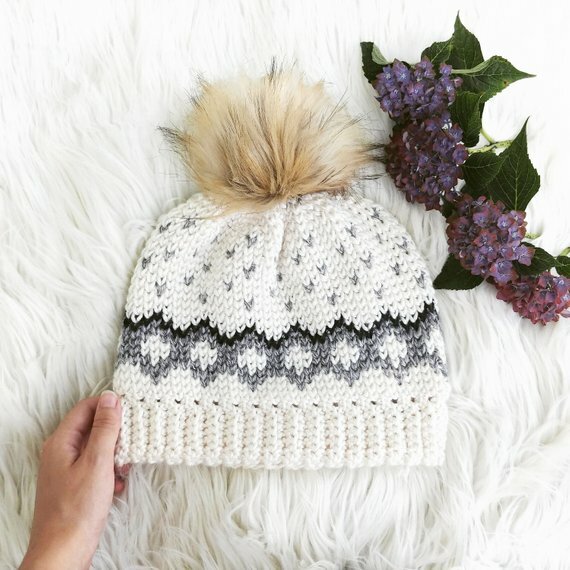 In other words, if you are a beginner – this pattern gives you the tools you need to learn all the techniques required to make this lovely hat! Get your own PDF pattern from the affiliate link below.